This Magic Reindeer Food Recipe is so much fun to make. All kids (and grownups) will love to sprinkle the reindeer snack in their yard to guide the reindeer and Santa’s sleigh to their home on Christmas Eve. 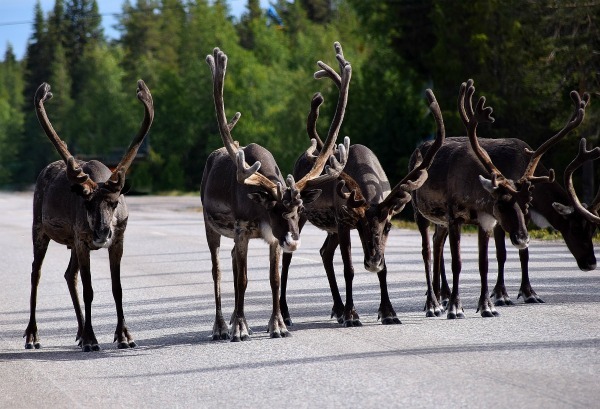 Many households make cookies for Santa Claus to leave out on Christmas Eve, but what about his hungry reindeer? 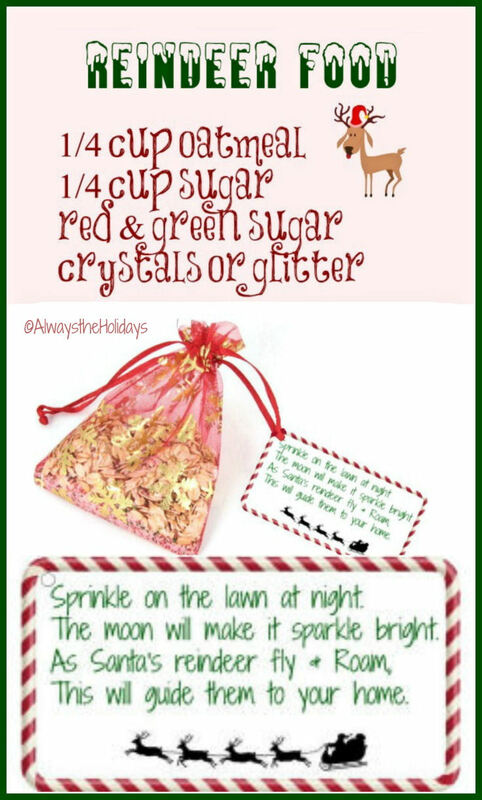 I first did this reindeer food DIY project so many years ago when my daughter was a little girl. The delight in her eyes as she sprinkled the special “magic reindeer food” as she eagerly awaited Santa’s coming was one of the highlights of our Christmas celebrations each year. There is nothing quite like the anticipation of a small child for Christmas. Those are the kinds of memories that will stay with you well after they are grown and living their own lives. And the reindeer are almost as much anticipated as Santa himself! Doing child themed Christmas DIY projects is a lot of fun for me, especially when the kids can help out with making of the craft. Here are a few more projects that you might enjoy doing with your child. 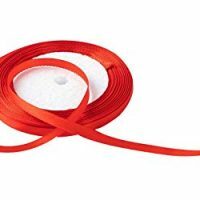 This post contains affiliate links for your cooking experience. I will earn a small commission of you click the links but the price the the same for you. What is magic reindeer food? To adults, this fun reindeer snack is a wonderful way to instill the magic of Christmas with a small child. To a child, magic reindeer food IS the magic. Your child will be so excited thinking that they are making something that will actually help Santa’s reindeer get through the long ride on Christmas Eve. This magic reindeer food recipe is one of those special holiday memories and you can make it for your grandchildren, as well, if your children are grown. It is super easy to make, too. The ingredients in the reindeer snack are all edible so you won’t need to worry about birds or other wildlife eating it if you sprinkle it outdoors. For a fun Christmas morning surprise, place this reindeer snack on the lawn the night before Christmas and then when your child is asleep, make Santa Claus footprints (and reindeer ones too – woof woof 😉 ) next to the reindeer food in the snow. 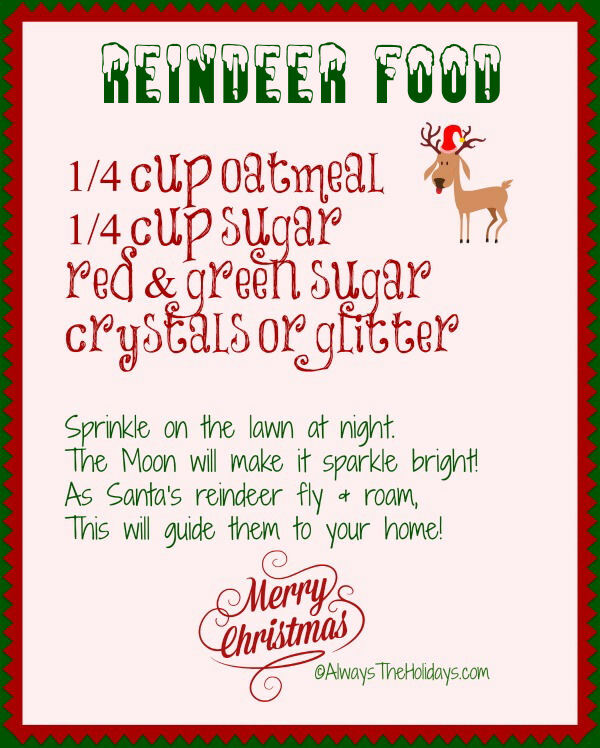 This Magic Reindeer Food Recipe is super fun project for kids to help prepare and also to sprinkle in the yard. They will really think that it will guide the reindeer and Santa’s sleigh to their home on Christmas Eve. Imagine your child’s delight to see those footprints near their house. “Santa was here” will be the excited shouts! I have seen reindeer food made with sprinkles, but this is harmful to animals. This animal safe reindeer food is simple to make and won’t harm wild life. 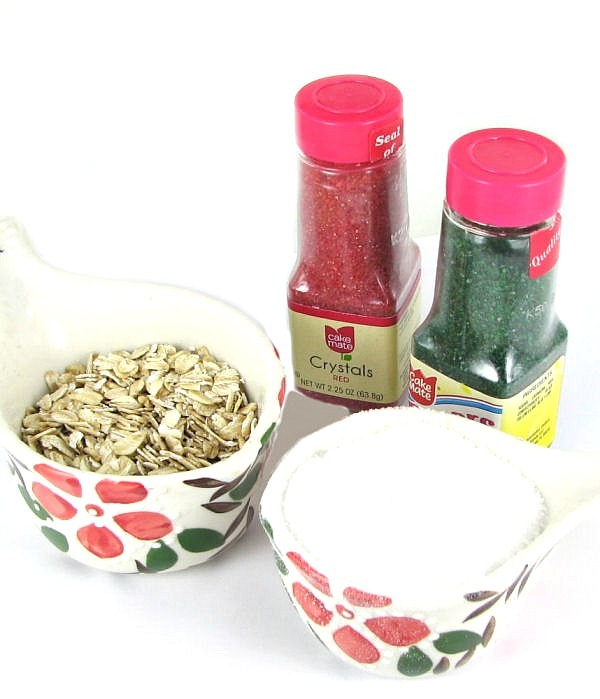 Mix the oatmeal and sugar together and add the sugar crystals. I added about a tablespoon of each color. Place into an organza baggie and add the label. Be sure to make extra for the neighborhood kids. It’s a cinch to make and it’s nice to spread the cheer! The night before Christmas, take your child or grandchild outside and place the bag in a special spot for the reindeer. Such a fun memory this will be! Are you having a family get together on Christmas Eve? 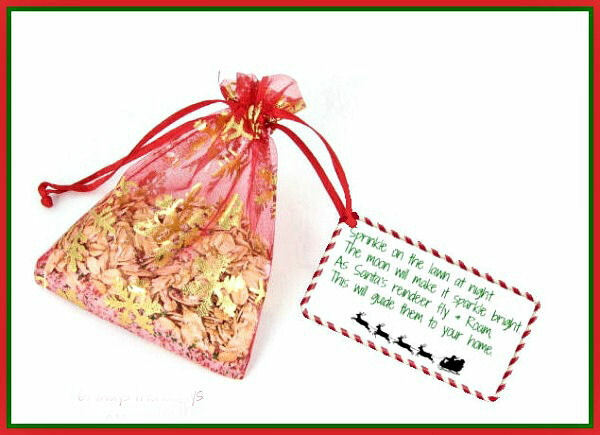 These magic reindeer food pouches would be a great party favor to give the kids to take home to use to guide the reindeer in for the landing! I prefer making this magic reindeer food with edible sugar crystals. If you don’t have the sugar crystals, you could use glitter, but be careful of using that version if you live in an area where there are abundant birds and mammals. The glitter version could be left indoors near the fireplace, instead of outdoors. 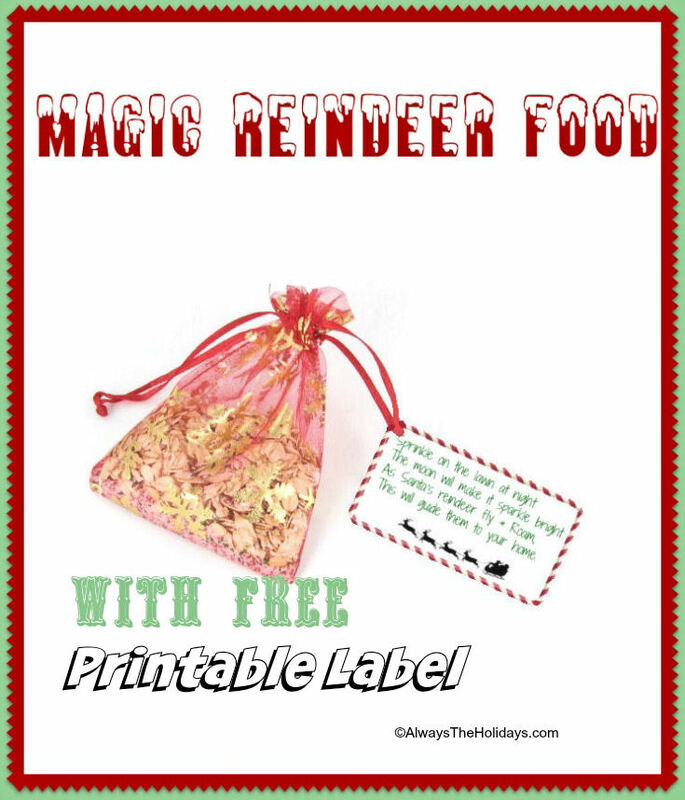 Would you like a reminder of those recipe for magic reindeer food? Just pin this image to one of your Christmas boards on Pinterest. What fun traditions do you celebrate with your kids? Admin note: This post for magic reindeer food first appeared on the blog in December of 2014. I have updated the post to add a printable project card, more photos and a video for you to enjoy. The kids will be delighted to make this reindeer for and place it outdoors for Santa's reindeer. 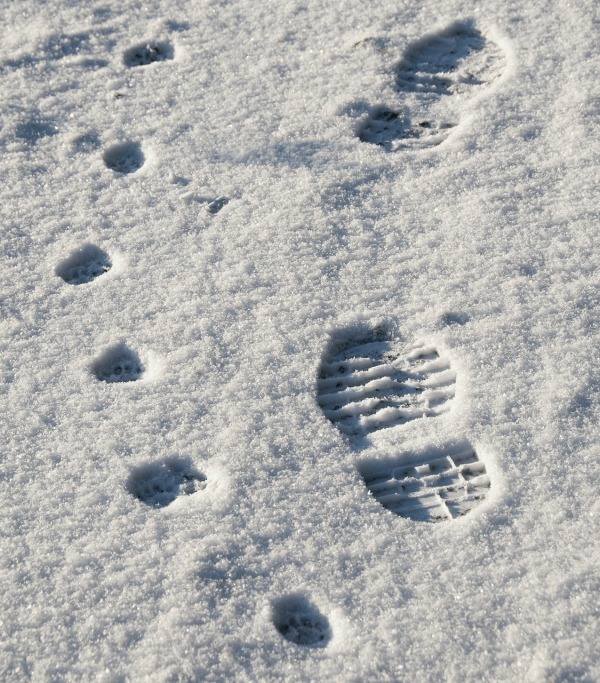 Be sure to leave some footprints and hoof prints in the snow! Mix the oatmeal and sugar in a small bowl. Stir in the red and green sugar crystals. 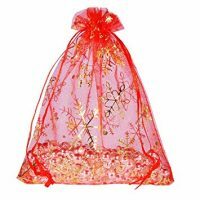 Place in the small organza bag. 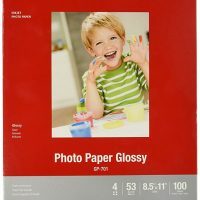 Print out the label and attach a red ribbon. Tie to the bag of reindeer food. 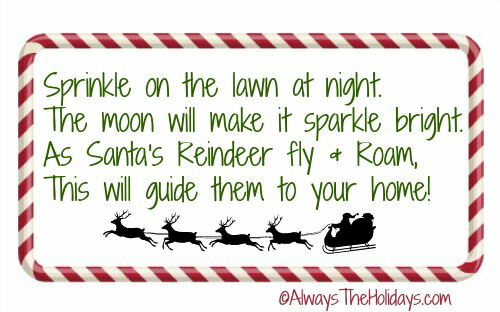 Place outdoors for Santa's reindeer. Make a couple of footprints for Santa and some for the reindeer after the kids go to sleep.